It’s Monday, December 10th – and NBC 6 has the top stories you need to know. Weather wise, cooler temps and less humidity will greet South Florida as the latest front arrives with high temperatures in the mid-70s and lows in the 50s for Tuesday and Wednesday. A 30 yard pass, two lateral passes, and the run of a life time. Did you see it? The Dolphins; Kenyan Drake taking it to the house against the arch rival New England Patriots. With that incredible divisional win, the Dolphins are sitting on a 7-6 record, which means the Fins are still very much alive for the playoff spot. Green Monday is another day of big online savings, generating millions of shoppers to their favorite online retailers. The sales started at midnight and will go through the day. The holiday was originated by Ebay almost ten years ago to mark its biggest sales day of the year as people panicked to get their last minute orders in to make sure they are shipped just in time for Christmas. The adult film star canceled her performance at Goldfinger in Sunrise this past Friday and Saturday after she says the club's owner called her assistant an anti-gay slur after asking her to perform in a VIP room that wasn't in her contract. 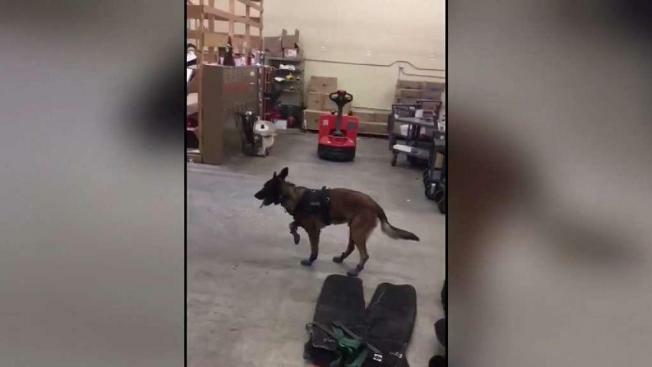 Please watch this video of the newest dog, Yaree, to join a South Dakota police department. He's not stretching, dancing or doing doggie yoga - he's figuring out how to get around in the new snow boots to help him while on duty!